It's that time again, dear readers, for the North American Nintendo Download Update, and this week has some promising options. One of the Wii's finest games lands on the Wii U Virtual Console, while both eShop platforms have interesting download-only options to consider. On top of that we have a portable retail release from SEGA, DLC for one of 2015's best eShop games and a load of discounts and HOME themes - let's get to it. Missed the European Nintendo Download Update earlier this week? Don't panic, the details are right here. Mini Mario & Friends: amiibo Challenge (Nintendo, free) - A rather charming-looking release that gives a free-to-play twist to the Mario vs. Donkey Kong franchise. All amiibo figures are supported, and this time around specific figures unlock some special stages, with each having their own unique abilities; Mario can wall jump, Yoshi can eat enemies and so on. We'll get chummy with our amiibo and bring you a review soon. Lost Reavers (Bandai Namco, free) - Available as a beta since 14th April, it's now available in its final form. This is a free-to-play co-op action title in which you team up with three others to fight your way to treasures before extracting them from the area. Lots of co-op hacking and slashing is expected, and we'll see how the full experience stacks up in a review. 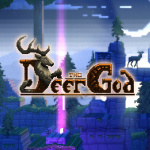 The Deer God (Mobot Studios, $7.99) - Developed by Crescent Moon Games and already available on PC, iOS, Android and Xbox One, The Deer God is a pixel-heavy "art adventure" that will "challenge your religion and your platforming skills." We like the look of it, and will see whether it lives up to its potential in a review. 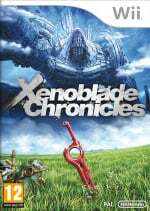 Xenoblade Chronicles (Nintendo / Monolith Soft, $19.99) - This had a somewhat troubled history when originally released in North America. It took longer than seemed fair to make its way to the region, and then was exclusive to GameStop and Nintendo's rather limited official store of the time. That's all in the past, as it arrives at a reasonable price point on the Virtual Console - it's a stunning and sprawling RPG, as we explain in our Xenoblade Chronicles review. ASH (CIRCLE Entertainment, $3.99) - Another retro-styled title making its way to the 3DS thanks to CIRCLE Entertainment, this is a turn-based RPG that's putting plenty of emphasis on a sizeable world and story. It looks intriguing and we'll see whether it stands up to scrutiny in our review. SEGA 3D Classics Collection (SEGA, $29.99) - This includes nine terrific 3D Classics, four of which are coming outside of Japan for the first time; that's a lot of wonderful retro gaming at its best on 3DS. We go through the key games and explain why it's a must-have in our SEGA 3D Classics Collection review. 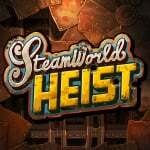 SteamWorld Heist: The Outsider (Image & Form, $4.99) - This expansion brings some new story elements and a mysterious new character. In addition to this new character there are missions, weapons and hats galore in this DLC; you can learn all about it in our extensive interview with Image & Form. Disney Art Academy (Nintendo, $29.99) - Picking up this latest entry in the drawing series now will enable a quick download when it launches on 13th May. And in case you forgot, Xenoblade Chronicles's eShop version can be played using the Wii U Gamepad as the controller. Or at least the EU version could. As euro trash here are Atlas having a sale every week? Conception II this week and SMT IV last week in Europe and 2 etrian odyssey games on the American eshop this week as well. Wonder should I expect them here next week as I nearly bit the bullet for a physical copy of EO IV last week for £35. If that Sega collection got a physical release in the UK I'd buy it in a heartbeat. Mini Mario for 3ds and Wii U for Me, also that other Free to play Wii U game. Europe would need to have months of no VC for NA to catch up. This has been out for like 9 months already! @Pahvi Really? I don't know of any Wii game on Wii U that allows using the GamePad as a controller, not that I have many, because my Wii games are discs except for Metroid Prime Trilogy. 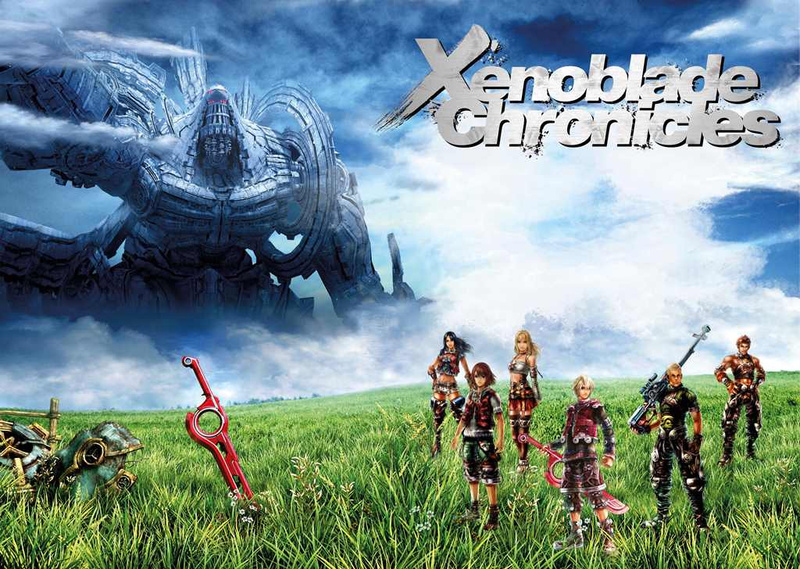 Good that Americans have finally easy access to Xenoblade Chronicles... one generation later. @dekuthered you know its on 3DS right? @VanillaLake u dont say. ive come pretty close to paying double for the n3DS version. Good Ole Nintendo. Stopped following their 3ds download Thursdays right after the Super Mario Bros 3 on 3ds Virtual Console fiasco/year long delay and I can see nothing has changed. Came back for the SNES releases and it's the waiting game again. They learn nothing and apparently neither do I thinking they may be trying to do better with their Virtual Console releases. My fault. @VanillaLake Wii VC games - those downloaded from the Wii U eShop - should support the gamepad if they support the Wii Classic Controller. However, I hear Resident Evil 4 does not. If you launch the game from the Wii mode, though, you can't use the gamepad. So, if I use my physical XB disc, I cannot use the gamepad except as a second screen. If I start the digitally downloaded version, I can use the gamepad to control the game as if it were a Classic Controller. Man, not even the free Mini Mario and Lost Reavers? Seems like a decent week, especially compared to some of them that we have had. I plan on grabbing those and the Deer God and Xenoblade (since I never got a chance to play it). Being an old guy, I was wish they would release at least one VC game each week (and not one that we have a different version of already!). Will get mini mario and lost reavers once my systems are back up. I may buy xenoblade just because that game is huge and saves me from having to unpack the disc. I hate moving. @readyletsgo Pretty much, Atlus sure loves its discounts, I suspect because it gets its games better store placements. Probably just the 3ds themes. I plan on getting that Humble Bundle Nintendo instead. It's the 28th, yet Mini Mario isn't out yet? Does Nintendo need to do maintenance? What time are they going live? Nothing available yet. Lots of awesome stuff! Xenoblade for me as well as probably the Steamworld DLC and maybe also a 3DS home theme (Star Fox one sounds interesting)! @Jaredfrogman It's always about 11:00 central time so it'll depend on your time zone. 12:00 if you're in Eastern time, 9:00 Pacific, 10:00 Mountain. @VanillaLake Yes, I've read several accounts that claim the gamepad works with Xenoblade. Supposedly, any game completely playable with the classic controller is compatible with the gamepad. Think GOD., i don't have to shell out extra $$$ to buy a New 3DS to play Xenoblade, glad Nintendo choose to bring Xenoblade to Wii U Eshop in NA, i'm planned to get that soon. @ThomasBW84 @Dakt cool thanks guys. I haven't been paying much attention to the eshop for a while here so just thought maybe Atlas were doing some sort of promo. I'll hold off for a few more weeks as if I can get them for €9.99 at some point I'm not gonna drop £35 on one game, ya know that way. I already have Mini Mario & Friends: amiibo Challenge for both the Wii U and 3DS so I'll just be getting The Deer God and the SteamWorld Heist: The Outsider DLC and tomorrow I'll be picking up the retail version of Pokemon Rumble World. So no Power Drift sold by itself. Then nothing to buy. Not spending $30 when I've already spent that on all the earlier 3D Sega games. guys something is wrong from the past 2 -3 years.. think realistically. it is not normal everything what is happening. STAR FOX is 3 hours long game for 60 dollars and and on ps4 there are games that are 10 times more innovative and with better graphics. I didn't like Xenoblade when I rented it and only like the first Mario vs. Donkey Kong game, so nothing for me this time around. Again. Arg, just picked up the 3ds version of xenoblade chronicles a few days ago. May still grab the wii u eshop version. @nikolcho2 Open your eyes, Star Fox is much longer than 3 hours. I bet you're the type that stops playing Smash after beating classic and all-star mode once. Nothing for me, but it's nice to see NA get XBC so that people don't have to hunt around Gamestop for it anymore. Just the Free games for me. It's nice that Xenoblade Chronicles is released on the WiiU VC, but I'm still waiting for a sale on the new 3ds version, at least in the $20 range. If I had the money I would buy Xenoblade Chronicles in a heartbeat. Maybe I'll try the Mini Mario & Firends amiibo challenge game. Xenoblade is a stunning game and one of my favorites of all time. I hope everyone that likes RPGs at all at least considers it. I'll be buying it a second time, as I played the N3DS version and would love to play it again on the television for a slightly better graphical experience when I can now do so cheaply. What's the price on Etrain? I have been interested in it for a long while but haven't wanted to pay full price. MY question is, do I get Xenoblade on 3DS or on VC now. I had plans to get it on 3DS and play it while on vacation over the summer. Any thoughts on this? Is it basically the same game no matter what? I voted for Xenoblade Chronicles, but I won't be buying it right away. I'll snag it eventually, hopefully on sale (although Nintendo is always more stingy with sales than their competitors). Very happy that it's available for $20 at the most for whenever I'm ready. Maybe I'll treat myself if I ever get my backlog down under 100 games again (it's at 187 after the Humble Bundle, and it'll grow by at least 5 games on Tuesday when the May PS+ games release, more if I don't own the extra games they add the the bundle). Hey guys explain me a thing. I have the Xenoblade Chronicles Wii disc, if I put the disc on the Wii U can I use the same functions as the downloaded version? I'd really like to see more of these 5-10 full retain sales for these 3rd party devs. I literally would buy them if they were priced at that point. I'm gonna get lost in lost reavers! @Frank90 Yes, your save data is the same between all versions on your Wii U. Really? No Super Punch-Out? Again with the lack of Europe's VC! Come on, Nintendo! You're not losing any supply by keeping your games away from us; you're losing sales and potential customers by screwing us over again. @nikolcho2 ...Ok if you can't spell, fine...but spell check is a thing. So much of that was illegible. XenoBlade! Finally a reason to turn on my Wiiu. Bought an amiibo recently, so have the Mini Mario thing, but haven't played yet. Also downloaded the Reavers demo, haven't played that yet either. Can I buy more free time? Right now playing Star Fox Zero, Fire Emblem: Awakening (yes that one) and started Mighty Switch Force. If I get anything this week, it will be the new Nintendo Humble Bundle. Lost Reavers, Mini Mario and Humble Bundle for me. I'm waiting on other VC games I grew up with (I'm 33 so I'm old as well ). Waiting for Mario RPG, Mario Kart, Star Fox and Wave 64, Startropics 1 and 2 and Kirby Mass Attack. @nikolcho2 Again as I said, you must be one of those who only plays classic mode and all star once with Smash and then never plays again. Star Fox is a franchise where you should be looking at how long it takes to get everything (all secret levels, all gold medals, all challenges completed, etc.). By your logic, Smash Wii U takes about 30 minutes to complete. Was really hoping for more SNES on N3DS. Oh well. I always have too much to play anyway. If that Star Fox theme had the animatronic/puppet characters along with music from the original game, I'd get it in a heartbeat, regardless of price, but it's not. @Rafx Nice to see another Karnage fan. @Grumblevolcano There's no point arguing with that guy. Some people just don't see the appeal/point of high-scoring games like rail shooters, pinball and SHMUPs, most likely because they're the type of people who toss a game once they're 'done' with it. They just don't replay games. Nothing you say will make them understand what makes them so fun. It's sad that people today (not ALL people, but some) don't bother playing games purely for fun anymore. They just go by things such as 'price' and 'length.' To them, a 60+ hour game is 'good' and a 5 hour game is 'terrible,' and not every genre/game even benefits from long playthroughs. Length has no bearing on whether a game is good/worth it or not, people! Looking to try Heist DLC. I had fun with the game, just hope the DLC has enough content. Oh yeah, also will pick up a theme for the first time in forever. Really dig that Shovel Knight theme. Ah, Xenoblade... such a good game. The only reason I'm not getting it right now is that I'm still playing Xenoblade X (+200 hours in, already finished it but can't stop playing it). Looks like a fine week. SteamWorld Heaist DLC is welcome, Mini Mario looks like a harmless way to use my one Luigi amiibo, and I'd get Xenoblade if I weren't halfway through the 3DS version. And maybe I should check out Lost Reavers. Another week with nothing for me to buy. Would love to have Animal Crossing: Wild World released. Europe seems to get all the VC games that I want here. @foodmetaphors The eShop updates at 9AM PST/12 PM EST. Which is right about now. I'm going to be the voice in the wilderness here, but Xenoblade Chronicles did nothing for me. I had high hopes, but it just got repetitive and boring really quickly. Gorgeous game, but it was all hollow wood to me. @LegendOfPokemon I completely agree... I had my hopes up all week looking forward to Super Punch-out today. Should have known better. It's the cherry on top of all the disappointment from yesterday. @Pahvi Good point!!! I forgot about that! That should have been in the article!!! @Frank90 You can't use the Wii U gamepad if you launch the game from the disc you have. You'll need to launch the digital release to do that. If you meant the save games, both the physical version and the download version use the same files - so you can start from where you left off. @dekuthered True, but at least we finally received Xenoblade Chronicles. I had even begun to give out hope. Now if we could just get a few more eShop titles that Europeans are already enjoying on the Wii U VC namely, Star Fox 64, Mario Party 2, Wave Race, and Mario Kart 64. You would think it would be pretty easy to make them available here now. Not to mention other games that were available on the Wii VC like F-Zero X and Cruisn' USA. @Grumblevolcano That would be true, if Star Fox Zero had a multiplayer dogfight mode like Star Fox 64 did. Multiplayer is where I spend all my time in Smash. I bought Star Fox Zero and I love it, but I really wish it had that dogfight mode. Slap it on the internet and let me fight against my friends online. @Nico07 I had been wanting Star Fox 64 (for the 4 player mode), but I'm already in love with the gyro aiming I'm not sure if I'd still like that game. I snagged Sega 3D Classics Collection a few days ago. It's awesome, and the decals were a nice touch too. That, combined with the Humble Bundle made this week one of the best in a long while! Nothing for me this week. The Deer God interests me, but not at that price. Xenoblade Chronicles is slightly tempting since I missed out on it originally, but it would be ages before I'd be able to play it. It'd be great if they made Xenoblade Chronicles part of the Nintendo Selects range so that new physical copies could be made available, but I don't see it happening. I think I'm going to pick up those Sega 3D classics. I really love the idea of 3D classics, because they give me a reason to relive these games I've played a zillion times before. I've been disappointed that Nintendo abandoned that concept some time ago. Sega has not only picked it up, but based on reviews and the one Sonic game I already have, they have done a better job with the concept than Nintendo did. FWIW, I always play my 3DS handheld VC games in the quasi-3D proper resolution mode where you can see the "system" you are playing. Plus, I always play the Game Boy games with the weird green screen. That kind of stuff is a neat use of the 3D function. Omg! Finally! Xenoblade! Thank you Nintendo! I hope they fixed lost Reavers for this final release. the beta was a mess! On 3DS, but only if you have a N3DS, and only if you have to have it portable. My disc works, and there is no substitution for playing it on the big screen. Play as Melia, grind for an extra level and the game is easy to beat. Deer god looks interesting. Unfortunately, all people seem to want here are old games. I'll ger Xenoblade and the free to play Mario game. This week is certainly far better than previous weeks! I'd recommend to everyone Mini Mario & Friends: amiibo Challenge. It's one of the most unique and well crafted Mario vs. Donkey Kong games in the series - and it's free! Well worth your time, provided you have at least half of the required amiibo. Another crappy week from the idiots at NOA!! Good thing Sega in there but that will be a retail copy for me. Still waiting on five VC games Europe has that America strangely doesn't: Mario Kart 64, Star Fox 64, Wave Race 64, Super Mario 64 DS, and Mario Party 2. What's the hold up? I got Sega 3D Classics on Tuesday. It was worth buying just for Power Drift. I read The Deer God was plagued with bugs on other consoles. Wonder if they've all been worked out? @Pahvi I see. The only Wii game that I wanted but I did not get last generation was Metroid Prime Trilogy, because I already had the three games (1 and 2 for GameCube and 3 for Wii), and this one only supports Wii Remote. @foodmetaphors Good you didn't since the Wii version is better. I've got enough Amiibos to get the entire neighborhood to play, so Mini Mario & friends for me. @dekuthered Well considering there isn't anything else known to be coming to the Wii U library, of any big consequence anyway (except Zelda in 2017), they might as well. Unsurprisingly we have heard that Nintendo is working on a number of unannounced projects, so we could get a surprise announcement of something like Super Mario Galaxy 3 for Wii U this November. But really at this point Nintendo shouldn't be holding anything back for Wii U, especially it's Virtual Console. @Nico07 Yeah, it's so weird they don't want to make Wii U owners a bit happier with more Virtual Console releases. Because you know, we won't get any new games for Wii U/3DS. They don't even give us old games. Xenoblade Chronicles!!! And it's playable on the gamepad!!! Thank you thank you thank you Nintendo! Took long enough, but thank you!!! @dekuthered Can't you get it on the Wii Virtual Console. Go into Wii mode, access the shop channel and get it there. The only real difference will be it's perhaps not quite as nice resolution wise and you'll need to go into Wii mode first to play it but those are very minor issues i'd have to think. BTW if you can find the 3DS version for a reasonable price i'd highly recommend it, it's an awesome remake. Open eyes to what exactly? People know what's on other consoles, and most of us here also play on other consoles. And ya, Dark Souls 3 and Witcher 3 and all those games are fantastic. But a lot of the games on other consoles are meh. In fact a majority of them are meh. OR, maybe they're good but just not a genre you like. Basketball games, baseball games, football games, soccer games, racing SIM's, all that crap is shovelware to me. So it equals out. I own a crap load of PS4 games. Probably as many as Wii U games now. But so what? That doesn't make Wii U games any less fun to play. Nintendo gets a lot fewer games but, I want to play around 1 of every 2 Nintendo games, whereas I only want to play 1 out of every 10 PS4 games. My point is people know other consoles are great. And most play them. People play Nintendo because they like the games on the system. PS4 could get 1000 games a month, I'd still want to play my Nintendo games. If you don't enjoy Nintendo that's cool. Don't buy any more of their systems. But it's a little brazen to come on a fan site and make a pitch to persuade others to not buy Nintendo products. @Kevlar44 I've thought about that, but then I realize I dont have a classic controller to use for the Wii VC. @VanillaLake Especially since the Wii U VC games released in Europe are the same games originally released in North America and not the PAL versions. So you would think it could be a simple copy/paste job for releasing these in North America considering Mario Kart 64 and Star Fox 64 were already released in Europe. Why the heck are JuJu and Gadolt shown as PCs in the Xenoblade picture? Right on. Ya that's just me- I do love Forza Horizons 2 though. That game is a masterpiece. Not really a SIM though. More like an arcade racer with SIM upgrade qualities for those that want to dig in deep. Idk whats up with all the hate sometimes though. Just play games, have fun and enjoy what's on offer, while ignoring what doesn't interest you. I barely touch my Vita but 5 times a year, but I love it because when I do play it I always enjoy myself. Severed just released and is fantastic! @JumpnShootMan VC. This game is meant to be played on the big screen. Anyone play Ash? It sounds interesting. Wondering if it's any good. Now to wonder if I should sell off my Xenoblade disc to get this download version, if only for GamePad support (and cleaner visuals?). Lost reavers beta was fun, now to find out what's behind a paywall. I think I'm still gonna get Xenoblade on here even though I JUST bought a New 3DS with Xenoblade 3D. It's not as enjoyable to play Xenoblade type games on handhelds unless you're on the go, then it's great. But playing it on a better resolution and bigger screen will make it a lot more of a pleasant experience. Takes up quite a bit of space at 6GB, though! @mikegamer Tell me about it! It's ridiculous! so maybe nintendo does want my money after all. i guess this basically makes it unnecessary for me to buy a jailbroken wii, as xenoblade was the big rare game that was too expensive to buy used. this gives me a little bit of naïve hope that they will at least have the decency to make this a monster year for older titles on wii u, including skyward, sunshine, gx. but of course they will find a way to disappoint me. @JaxonH I know right! People get so hung up on consoles not having "any games" but that's completely subjective to what games you're interested in, so if there aren't any games for you then find something that offers those that do interest you and be done with it. I haven't actually played any of the games in the Forza series but they're meant to be pretty fantastic. I was actually looking at Vita's with a friend yesterday haha apparently they've got a crazy amount of JRPG's which is cool, so I might look into them. Is Severed made by the peeps who made Guacamelee? It looks pretty awesome! Enjoy! Anybody know if you can tranfer your beta characters to the full game for Lost Reavers? Since I'm broke this week, Mini Mario and Lost Reavers. @Nico07 True. They would only need to copy paste them to the American VC. One of the things I don't like about Nintendo is that they release some games in Europe and not in America and vice versa.